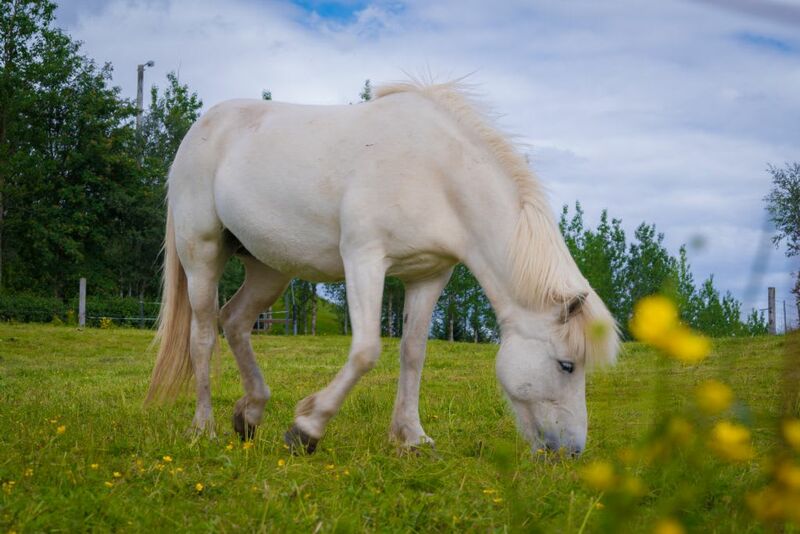 During the summer months many horse owners become concerned about the risk of the lush grass on our horses especially those which already have a little too much fat from the cold winter. Ashley Neely takes a look at laminitis and how it affects our horses. Laminitis is a prevalent and extremely painful condition in horses which has significant welfare implications for owners. It is an inflammatory condition of the tissues (laminae) which bond the hoof wall to the pedal bone in the hoof. The distinctive stance and lameness characteristics of laminitis are widely recognised but the cause and treatment can be confusing for many. Firstly, let’s look at the basic anatomy of the hoof and the problems which laminitis cause. Within the hoof there are two small bones - the navicular bone being the smallest and the larger hoof shaped bone which is known as the coffin bone (digital phalanx). Between the coffin bone and hoof wall are the the interlocking laminae which consists of the sensitive and insensitive laminae. Their role is to hold the coffin bone in place as the digital flexor tendons pull them during leg movement. Laminitis occurs when the laminae do not receive sufficient nutrients within the blood supply which in turn leads to inflammation and deterioration of the cells and eventually results in cell death. As the laminae weaken they are unable to hold the coffin bone in place which results in the rotation of the coffin bone and penetration through the sole of the hoof. Laminitis often affects both front feet simultaneously - one foot is often a result of excessive load bearing caused by an injury of the opposite leg. There are several known causes for the onset of laminitis and it is important to understand that not all causes are nutritionally related. Horses suffering from an injury on one leg are at higher risk of developing laminitis on the opposite leg due to the overload of weight bearing on the 'good' leg. The use of prednisolone medication (corticosteroids) have been often associated with the development of laminitis, however, no direct link has been shown unless an underlying endocrine problem is prevalent. As we are aware, over feeding of grains and cereals can result in health problems such as colic or tying up. An over load of grain within the diet results in partly undigested grain building up. This is then rapidly fermented which leads to gut damage and the onset of laminitis. Metabolic conditions such as Cushing’s Disease and Equine Metabolic Syndrome are all known to contribute to a higher risk of laminitis occurring. High carbohydrate intake, lush grass and changes in pH of the hind gut are the main contributing factors, however, they are all manageable. How do you manage laminitis? Laminitis can be classified as two types - acute and chronic - both of which require veterinary intervention and pain relief. Acute cases will often lead to horses on total box rest and corrective farrier work may be required dependant on the severity of the case. A low-calorie diet should be implemented but it is vital that you do not starve those ponies struggling with weight as they require extra nutrients to help control the inflammation and replenish the laminae. Bluegrass Horse Feeds Stamm 30 is an ideal horse feed for those requiring low calories. This unique balancer provides a high quality vitamin, mineral and protein pack as well as yeast cultures to promote digestability. It is essential to reduce the amount of starch and sugar level within their diets whilst providing an adequate supply of key vitamins and minerals to aid recovery. It can be challenging to find a horse feed suitable for lamintic horses which require condition and weight gain. Bluegrass Horse Feeds Re-Leve has been scientifically formulated through KER as a low starch, low glycemic feed ideal for horses suffering from laminitis.